Happy 4th of July to all our U.S.A. users. The node is set for NEO/GAS, and the devs are checking the APIs. We are close to listing both pairs on the exchange. The expected launch period is next week. 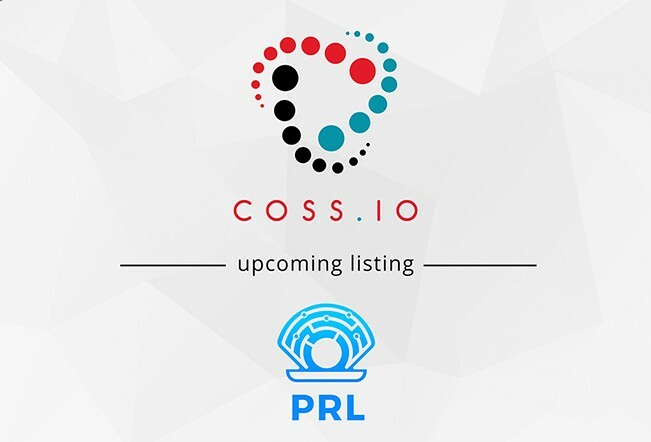 We are pleased to announce an upcoming listing on COSS.io: Oyster Protocol. Oyster offers a unique and user-friendly decentralized solution for two problems plaguing the digital world right now: website monetization and distributed storage. By adding one line of code to a website’s HTML, publishers can monetize their content in a way never achieved before. In addition, the Oyster Protocol provides anonymous, encrypted storage in a way that links both elements into a co-dependent ecosystem based on the PRL ERC20 token. Do head on over to their website or join their telegram to know more. We are getting closer to the release of APIs to the public. Our first priority is the security of the exchange (and your funds), and we are in the testing stages. We will release the APIs once we get a green light from our devs. The ICX token swap is currently supported by Binance, Upbit, Bithumb and the ICONex wallet. Holders of ICX on our exchange will have to withdraw it from COSS.io and deposit it into these supporting exchanges or use ICONex. For more information, please refer to ICON team’s medium. BittWatt is organizing a golf tournament with the grand prize of 100,000 BWT! Head on over to their medium to know more. BittWatt has been active in their expansion efforts and we look forward to increasing trade volume on COSS.io ahead. ACCESS, the Singapore Cryptocurrency and Blockchain Industry Association, with the support and co-sponsorship of Timetech, is hosting a community event on 9 July 2018 (Monday) at 6pm-8pm, to formally launch their partnership with BCCC, the Blockchain Collaborative Consortium of Japan. ACCESS and BCCC will be signing a memorandum of understanding (MOU) on 6 July 2018, to foster stronger relationships between the blockchain communities of Singapore and Japan. With this MOU signing, we look forward to more opportunities for collaboration between the two communities. About Us : COSS stands for Crypto-One-Stop-Solution and represents a platform, which encompasses all features of a digital economical system based on cryptocurrency. The COSS system consists of a payment gateway / POS, an exchange, a merchant list, market cap rankings, a marketplace, an e-wallet, various coin facilities and a mobile platform. The COSS platform unifies all transactional aspects that are usually managed by means of FIAT money, and offers multiple cryptocurrency-related services in one place. The list of potential features of the platform can be infinitely extended, and will continue growing as the platform evolves. COSS is a Singapore based cryptocurrency exchange trading both Crypto and Fiat pairs.